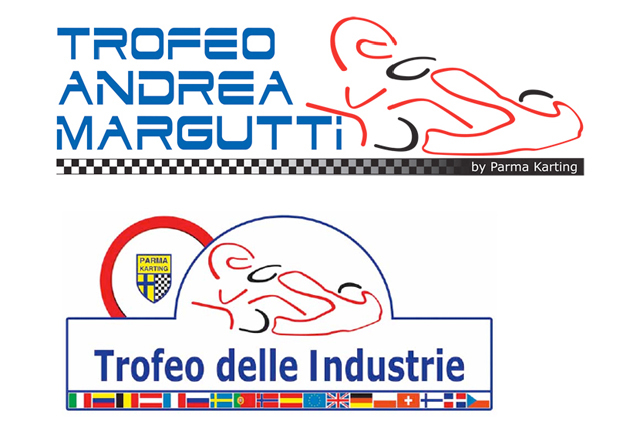 The two events organized by Parma Karting at South Garda Karting of Lonato confirmed in 2015: the 26th Andrea Margutti Trophy (27-29 March 2015) and the 44th Trofeo delle Industrie (23-25 October 2015). The dates of 2015 editions of the Andrea Margutti Trophy and of the Trofeo delle Industrie, the two important appointments organized by Parma Karting at South Garda Karting of Lonato have been decided. The Andrea Margutti Trophy, at its 26th edition, will take place on 27-29 March 2015, while the Trofeo delle Industrie will run its 44th edition on 23-25 October 2015. Both events are part of the International CIK-FIA calendar and are open to categories 60 Mini, KF Junior, KF and KZ2. All information will be available through the respective websites of the races: www.trofeomargutti.com and www.trofeodelleindustrie.it. The two events will count to a lot of good services to all drivers also in 2015 with a promotion that will comprise an important media and TV coverage. ANDREA MARGUTTI TROPHY. The Andrea Margutti Trophy is quite a sought after prize in International karting, as it sees the presence of works teams and world class emerging drivers, both united to celebrate the memory of Andrea Margutti, the very young driver passed away in 1989. Parma Karting began to organize this race back in 1992, an edition that was won by Giancarlo Fisichella, a driver that became later on a shining star in world motorsport. Since then, a lot of other karting champions moved to motor racing and the appointment with the Andrea Margutti Trophy has always been one of the most important goals in the career of a driver. In 2014, 200 drivers coming from 30 different countries have taken part in the Andrea Margutti Trophy. TROFEO DELLE INDUSTRIE. The Trofeo delle Industrie started in 1971 and, thanks to its 43 editions run, it is the oldest race still organized. In 2015 this race will celebrate its 44th edition, a really important goal that has to be credited to Parma Karting that started organizing this event in collaboration with the main constructors of the time and that still keeps renewing this tradition. The Trofeo delle Industrie also has seen a remarkable list of champions challenging each other for this prize, among which Fernando Alonso, Lewis Hamilton, Nico Rosberg, Nico Hulkenberg, Sebastian Vettel, Robert Kubica, Daniil Kvyat and Carlos Sainz Junior that will make his F1 debut with Toro Rosso in 2015. In 2014 180 drivers from 29 countries took part in the Trofeo delle Industrie in Lonato.